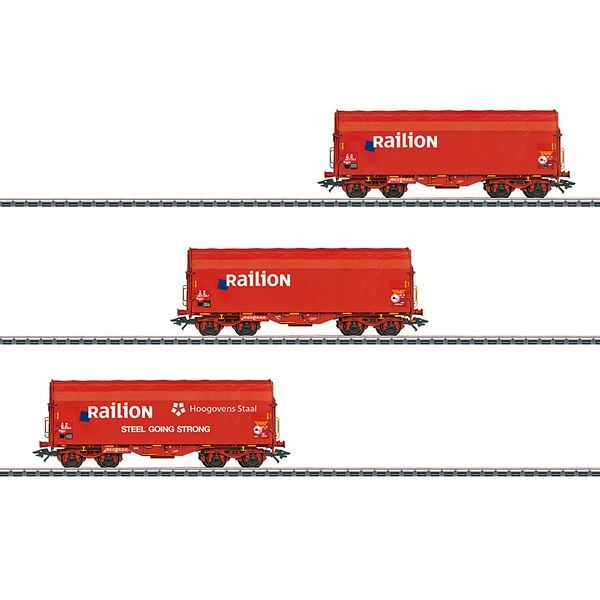 Prototype: Three Railion Netherlands NV type Shimmns freight cars. The cars look as they did around 2003. Model: All of the cars have closed tarps. The trucks are type Y 25 welded designs. All of the cars have different car numbers and each car is individually packaged. There is also a master package. Length over the buffers per car 13.8 cm / 5-7/16". DC wheel set E700580.